Where in your life do you stay silent and not show up fully? What prevents you from showing up? 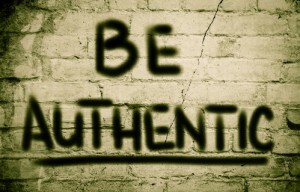 Do you wonder if it is possible to be intensely authentic and real and yet hold care for everyone in the situation? Most of you reading this article have never seen me. If you don’t know me, I’m Afro Caribbean. I’m a large, dark-skinned black woman with very short hair who dresses very casually most times. I love the San Francisco Bay weather because it allows me to walk around in shorts and flip-flops for much of the year. This is the person that most people see when they run into me in casual settings. As I walk through the world, because of my outer appearance, people tend to assign me to a position of low power, low rank. When I lead workshops in organizations, or when I’m at my part-time job as a psychologist, I wear professional clothing. I might even remember to put on earrings! At my part-time job, people insist on calling me Doctor, or Doctor Manning. People who know my job title or education – a doctoral level psychologist and certified NVC trainer – treat me with an automatic respect and deference conveyed by my structural rank, no matter how often I try to get people to treat me as their equal. One of the challenges I face over and over again is navigating between those two worlds and responding to the vastly different ways I’m treated. Over the years, I’ve experienced many, many challenges. A fellow graduate student reassured me, as a group of us discussed worries about the competition for employment after graduate school, that I didn’t need to worry because there was always affirmative action – implying that I would not get a job based on merit. When I co-lead workshops with white colleagues, participants routinely approach me before the workshop to ask me administrative questions and approach my white colleagues with content questions. The examples abound. In response to most of these, I’ve stayed silent. And sometimes, despite how long I’ve been studying NVC, despite my deep commitment to hold everyone with care, I lose it. I get angry, I speak harshly, in a way I regret later. I am most likely to “lose it” when the behavior that stimulates me is completely unexpected. One day, I was sitting in my car, having just finished coaching a long-distance client, while waiting for a store to open. It was almost 9 am, and although the business that I wanted to enter had not yet unlocked their doors, the coffee shop nearby had been doing a brisk business. As I sat in my car, I spotted an elderly lady inside the coffee shop, getting ready to exit. 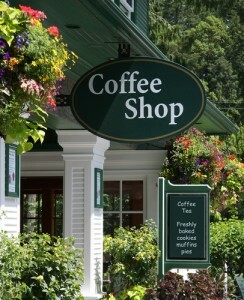 She was carrying several items, so I jumped out the car to open the coffee-shop door for her. She opened the door before I arrived, saw a banana peel on the sidewalk and said, “You people always make such messes. Why can’t you put your garbage in the garbage can?” I immediately felt a flush of anger and replied, “This is not my garbage. Who do you mean when you say, ‘you people’? Do you think because I’m black, I had to be eating a banana, like a monkey? Why would you assume it’s my garbage?” By the time I got to the end of my expression, I had moved from anger to pain. She didn’t see that pain. Instead, she huffed and walked away. I sat in my car and cried, upset by both the event itself, and by my reaction to it. It seems like such a small incident to bring me to tears, and for me to share with you now. This incident happened about two years ago. And still, two years later, I have not forgotten it. These kinds of incidents, the ones that stick with you, are worth spending time unpacking. When this happened, I just pushed it away. I was uncomfortable, both with the woman’s reaction, and with mine. When I think of the woman’s comment, I wondered, “Why did she say this to me. Was it really because I’m a black woman? Would she have said this if I had been dressed for work? Would she have said this if I were white?” This kind of microaggression saps our energy. We put a huge amount of mental energy doing the, “Am I crazy? Am I too sensitive? Am I making a mountain out of a molehill?” After this happened, I also found myself withdrawing a little in the presence of white people I didn’t know. What were they thinking of me? Were they making assumptions about my values, my cleanliness, my intelligence, my care for our collective space? Am I really safe? Without consciously attending to the impact of these kinds of microaggressions, we start to lose ourselves and back away from connections that previously felt safe. If you are doing social justice work, especially if you are a person who receives them on a near daily basis, finding some way to cope with the experience of a microaggression is essential in order for you to stay present and available to do the work you want to do in the world. The other part that hurt so deeply was my reaction. In that moment of shock and pain, I was judging myself as lashing out, speaking harshly. I was crashing into my “shoulds” about who I am. I “should” use my NVC skills for self-empathy, instead of speaking out. I “should” empathize with her, to respond to her with the care I want elderly people to experience. I “should” only express my pain if I can do it in a way that is easier for the person to digest, to increase the chances for connection, learning and reparation. Lost in my self-judgments that I didn’t respond “correctly” I was also struggling with some hopelessness. Am I really qualified to be a trainer, teaching others how to respond in challenging moments if I couldn’t keep my cool in the face of an off-hand remark by someone I would never meet again? When we get stuck in the “shoulds,” we lose our power to act from a place of authenticity. As I thought about this incident, I wondered, is it possible to find a way of responding that would feel authentic and real? So what can we do to increase the possibilities of showing up authentically and with care? What can help us to resource ourselves to change our world? After letting myself cry, then going home, I realized there were some steps I could take that would attend to my self-care, and give me more hope of responding both authentically and in alignment with my values in the future. The biggest step I took was to validate my feelings. Rather than to vacillate back and forth between the idea that something painful had happened, or that I was overreacting, I called a friend for support and began the conversation with acceptance that, regardless of the elderly women’s intent, her words were painful to me. I realized that this is the very nature of microaggressions – they are subtle, can be easily dismissed as innocuous, but still stimulate pain in the receiver. Being able to acknowledge the hurt, to have someone help me connect with the needs underneath the pain of the experience – my longing to be seen, to be accepted, to be trusted as a contributing member of society – allowed me to shift from having to prove my pain was “justified” to just being with it. Reaching out to someone who could empathize with me, whether or not they agreed with my perspective, allowed me to stop doubting myself and just grieve. Another important step for me was to differentiate between attacking someone and “screaming in giraffe” – that is, expressing myself in needs language however intensely I was speaking. Even though I was horrified at the time that I spoke with intensity to this woman, in hindsight, I realize I did not attack her. Is it likely she was uncomfortable, perhaps even defensive, after I spoke? Yes, very likely. But, this was her work to do. This incident helped me to really get that NVC is truly not about being nice, it is about bringing my full authentic self to my connections, even when that self is in pain. And as I thought about it, I realized the power that speaking up, expressing my upset and grief, had. No matter what her intention, I’m grateful to know that I had my own back. That I was no longer the silent person who thought the price for inclusion was smiling and pretending that the subtle comments didn’t have an impact. I also then had space to wonder what possible positive impact the interaction may have had on the woman coming out of the coffee shop. While it seemed clear to me that her immediate reaction was not open and expansive, I know from my own personal experience that sometimes change comes from being shaken up – indeed pain can be a doorway to growth. Perhaps she went home and reflected on what I said and looked at some of her own assumptions. Perhaps she regretted what she said to me… While there is no way to know if this happened or not, it is clear that without my authentic expression this potential shift would not even have been a remote possibility. About a year after that incident, I realized how much my clarity about the difference between intensity and aggression was serving me. Leading a workshop in the south, a white organizer said something that really impacted her fellow organizer, an African American woman. And, as the African American woman tried to talk about the impact, the white organizer kept speaking over her, over and over expressing her intent, and her belief that the African-American woman misunderstood. I intervened, and as the pattern kept repeating itself, spoke with an intense voice to the white organizer, asking her to stop speaking, and to focus on empathy. I was able to point out the pattern where she was denying impact by focusing on her intention. And, because of the combination of intensity and care in my voice, she stopped and was able to hear her colleague’s pain. They both expressed wonder that, for once, a long standing pattern had been interrupted, allowing them both to show up in the way that they wanted. Self-empathy, empathy, and a commitment to authenticity have become essential tools I need to keep sharpened in my toolbox if I am to show up and do the work I value in this world. It took me a while to learn that I had to give myself permission to shine. And now the next piece I am learning is that with empathy and self-empathy, and with a determination to have my own back, I can both support myself and help others shine.